In the face of tragedy, I love that our quilting community has found a way to spread love, hope and compassion. It saddens me that so many families and loved ones have been facing unnecessary loss. It makes me stop and wonder why these acts keep happening. In the short time that I’ve been a part of this community, I’ve heard of too many senseless acts of violence – the Pulse nightclub attack, the shootings in a Québec City mosque and now the Manchester bombing. Lives taken too early. And such young ones in the recent incident in the UK. It just breaks my heart. The only silver lining that I see is the rallying of kind hearts that are trying to provide comfort. Trying to show there still is an abundance of love in this world. We express it in different ways. Some are participating in the benefit concert. Others are donating to charities. My way, like many fellow quilters, is to use my creative passion to express my love for those affected by creating quilted blocks that I’ve poured my heart and soul into. 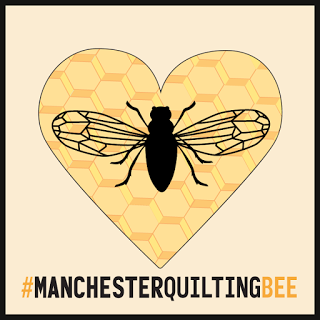 So, when I saw Lucy, from Charm About You, post on Instagram notifying our community of her good friend Michelle’s intention to collect blocks to be stitched into quilts for the families affected, I knew instantly I would be participating. 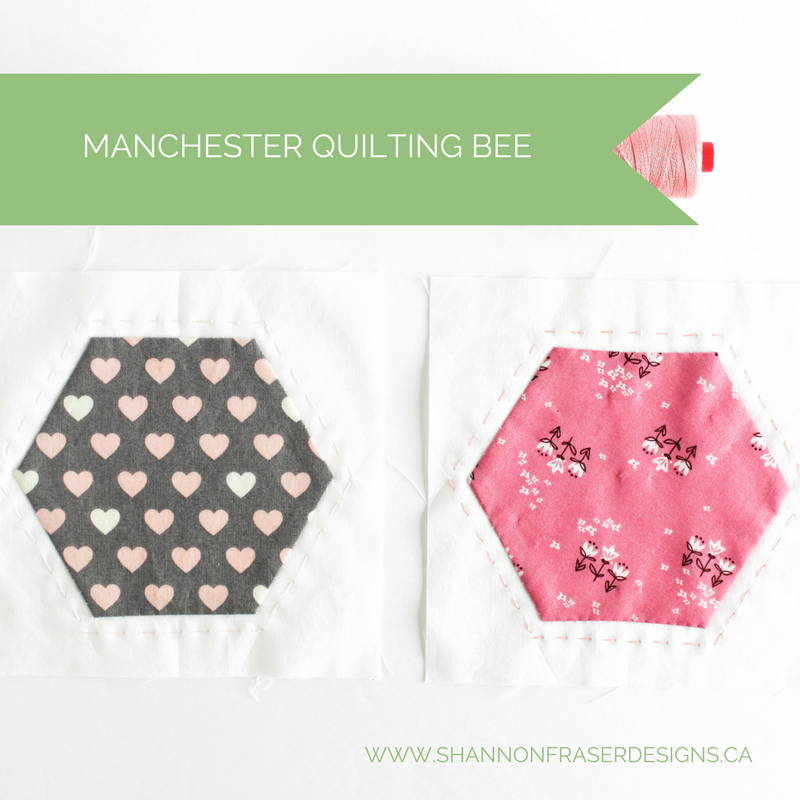 The Manchester Quilting Bee has been set up to collect 5” (4 ½” finished) hexies attached to 6 ½” square blocks for easy piecing. You can find the free pattern and all the details on either Lucy’s blog or the Facebook page Michelle has set up. These little blocks really don’t take too long to create. But what they will surely mean and represent to the recipients will last a lifetime. 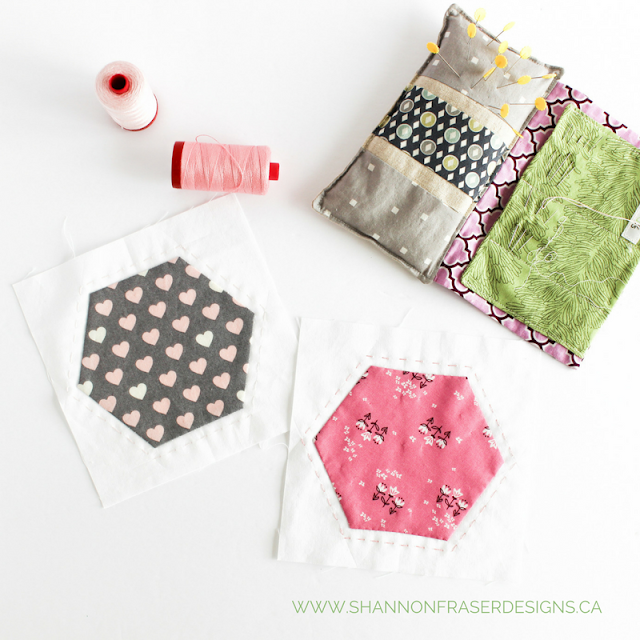 I spent quite a bit of time looking through my stash and thinking about the fabrics I wanted to use in the blocks I created. I wanted to showcase some of my favourites. I wanted them to have meaning. And, so, I chose hearts. Hearts to represent the love that still exists even in dark times. Love heals. Let’s not forget that. 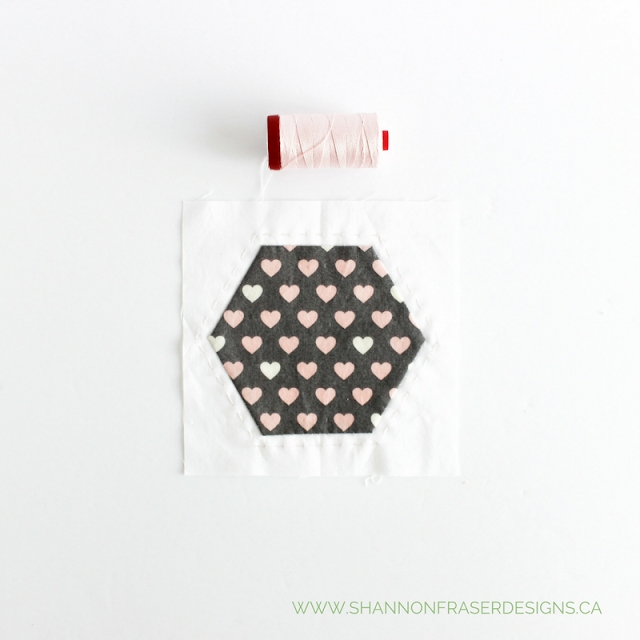 The print is called With Love – I heart U by Jacqueline Savage McFee for Camelot Fabrics. The second print I chose is another favourite Posy Chain Pinktense by Amy Sinibaldi from her Playground fabric line. Her entire line conjures pure happiness for me and this print, with the flowers growing, represents renewal and hope. No matter how dreary life can be, there will be renewal and rebirth. There is hope. If I can’t say it personally, I wanted the fabrics to say it for me – there is love and hope even in our darkest days. Trust that. 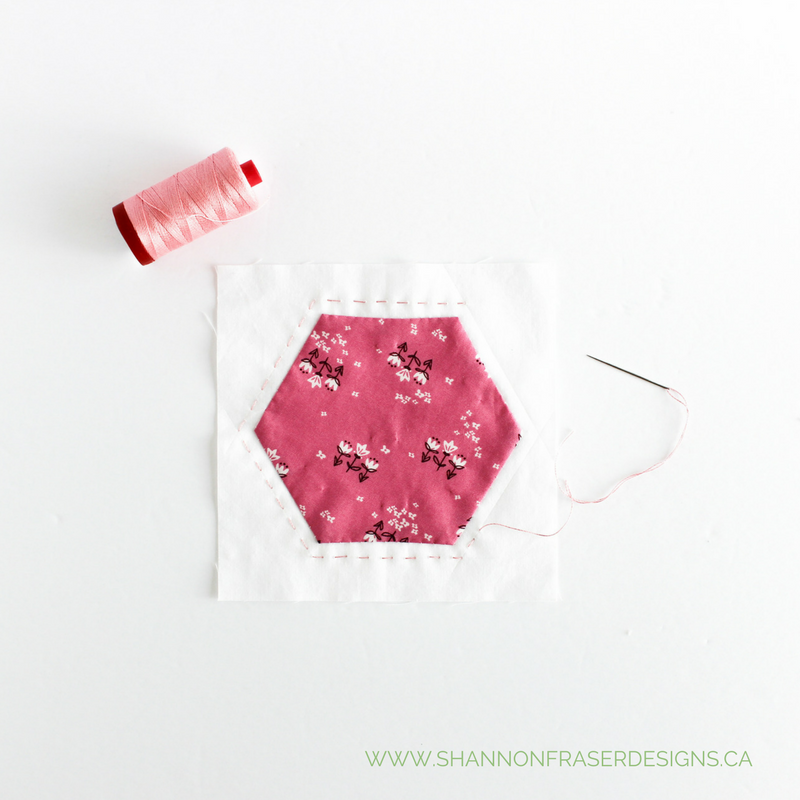 I decided to hand appliqué the hexies to a white background for several reasons. First, I wanted to sit and contemplate what was happening to these families and in the world at large. With every stitch, I thought about the fear everyone must have felt after the explosion. I thought about loved ones hearing for the first time of their loss. And as I was thinking this, I was also thinking about how I hope they realise they are not alone. People are thinking of them, even if they may not be aware of that. Second, I wanted to quietly sit and pour my love into every stitch. And hope that love comes through and is felt every time the recipient sees or snuggles the quilt. And, lastly, I chose white for purity. Purity in our intent. Purity in our love. 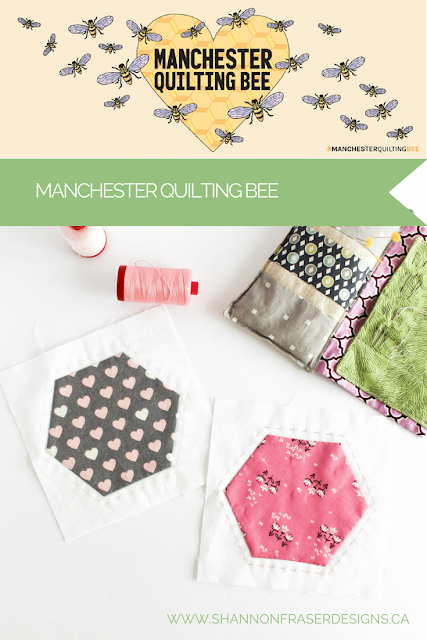 I then added some big stitch quilting using Aurifil Thread in 12wt around the hexies to represent unity. They are not alone and are surrounded by love and compassion. The deadline for submission is now June 12, 2017. Thank you so much for sharing your time, thoughts, and talents in making these blocks. The thought and meaning behind them are so caring. I feel so lucky to be a part of this community and I'm thrilled to be able to help out in any way I can. 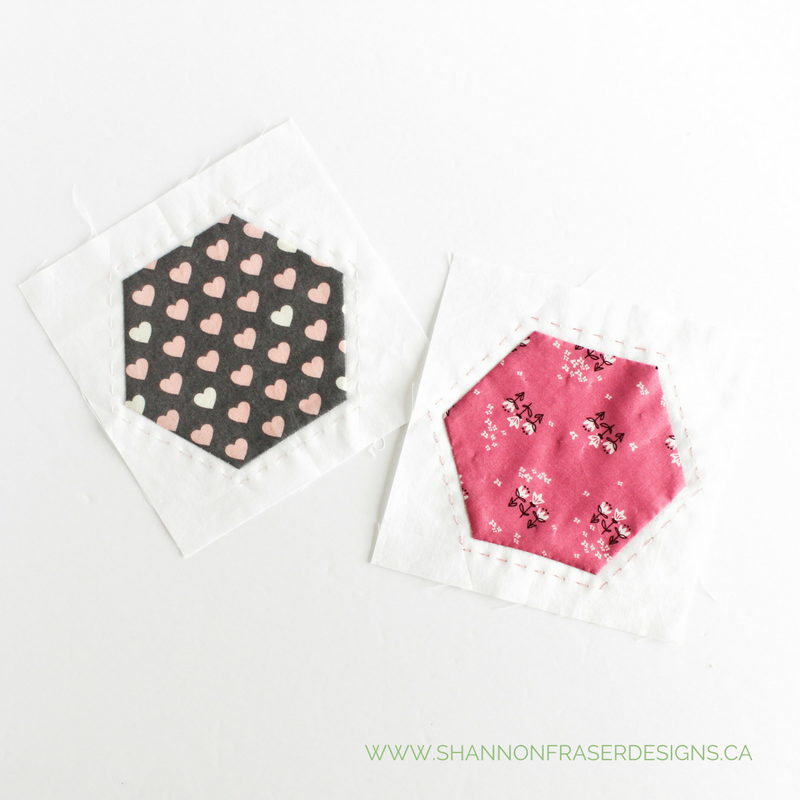 Your blocks are just beautiful Shannon! And I love how much care and thought went into every choice you made along the way. Thanks for sharing your thoughtful, caring response to this tragedy. My heart aches for all the victims and their families.